The Milwaukee M18 Cordless Multi-Tool cuts up to 50% faster and delivers up to 2X more cuts per charge than the competitors. With best-in-class speed and performance, the cordless Multi-Tool offers the versatility to complete problematic jobsite applications. 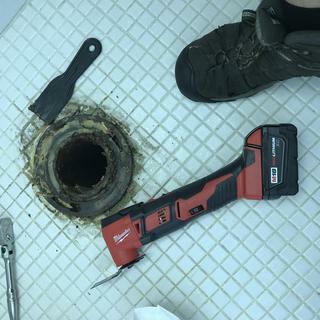 Ideal for remodelers, flooring contractors, maintenance repair technicians and electricians, the cordless Multi-Tool cuts, grinds, sands and scrapes at odd angles and in areas difficult to work. It’s powered by the M18 REDLITHIUM Battery (sold separately) to deliver up to 40% more runtime. Use it to make flush or plunge cuts, remove grout, sand in corners and tackle other awkward jobs. The M18 Multi-Tool’s Constant Power Technology maintains blade speed for faster cutting during heavy applications. The 12-setting dial allows users to match the speed to the application. With the universal adapter (included), the Multi-Tool is compatible with most competitor accessories. It includes 5 assorted sanding sheets, a sanding pad and wood cutting blade. this is a great value and a well built tool. The battery life is very long. This is a great tool so nice I don’t have to plug in the 18 volt is superior to the 12 very quiet and powerful. Very powerful, it never chokes, a little heavy but very good and easy to use. Absolute must have for any true professional. I have been using this multi-tool for over three years now in just about every application imaginable with nothing but stellar results. Truly I have as yet not found a situation where I was unable to use it. The adjustability of the blade position makes the tight spots manageable. Well-balanced tool which is especially helpful when trying to retain a straight line or work above your head. Really couldn't be happier.....unless Milwaukee would introduce this multi-tool in a Fuel version. Smoother operation and cuts better at lower spores than other brands. Outstanding! Powerful! Easy to blade swap (tool free!). Vibration is not too bad at all, coupled with a 3x battery this becomes quite the beast. 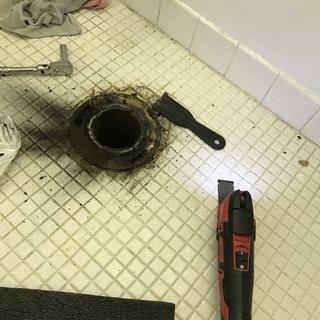 I used it with a carbide blade to level out a section of cast iron waste stack pipe for a toilet install. This was the perfect tool for the job. The sander attachment is quite decent for its size. Great for quick touch ups. Is it a quick detached blade system? will this work for cutting door moulding for putting in a new floor? BEST ANSWER: Absolutely. And so much more! Perfect tool for that job! Thanks for taking the time to answer my question,very cool!!!! BEST ANSWER: nope. unless you call One key being a screwdriver, which is necessary to change the blade. How many Watts or Amps does it have? Does it match the power of Bosch 3.0 Amp multi tool? Thank you. BEST ANSWER: This M18 Cordless Lithium-Ion Multi-Tool has a voltage of 18. The Bosch corded multi-tool has from 8,000-20,000 orbits per minute while the Milwaukee battery-powered multi-tool has 11,000-18,000 orbits per minute. So, the Bosch multi-tool gives you a bigger range of orbits per minute and has higher OPM's than the Milwaukee. This M18 Cordless Lithium-Ion Multi-Tool has a voltage of 18. What (if any) blades come with the tool or do I have to buy the blades separate? BEST ANSWER: This is the bare tool which means you will get the tool only. Anything else must be purchased separately. Blades are to be purchased separately. 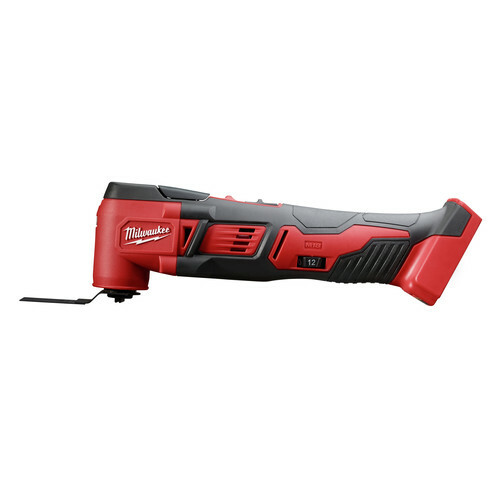 Does the Milwaukee M18 Multi-tool (bare tool) come with the universal adapter? Can this be used to cut automotive windshields out? It works great cutting wood or metal. I have never cut a windshield out of a car, it would cut the rubber gasket fine but if your cutting the windshield itself you will probably need a demo saw with a diamond blade on it. Does this come with blades? 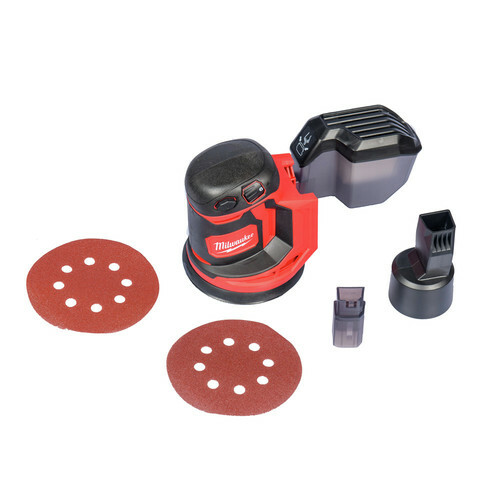 I've recently noticed that quite a few other retailers are offering this bare tool with a sanding pad, sand paper, and a blade, and I was curious if it is now being shipped with those items?